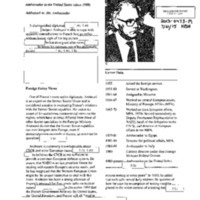 This Mandatory Declassification Review contains material related to France from the White House Office of Records Management. 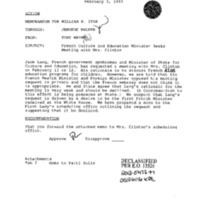 Materials include Department of State memoranda regarding requests for meetings with French officials and a briefing paper regarding a meeting between First Lady Hillary Clinton and Danielle Mitterrand, wife of French President Francois Mitterrand. 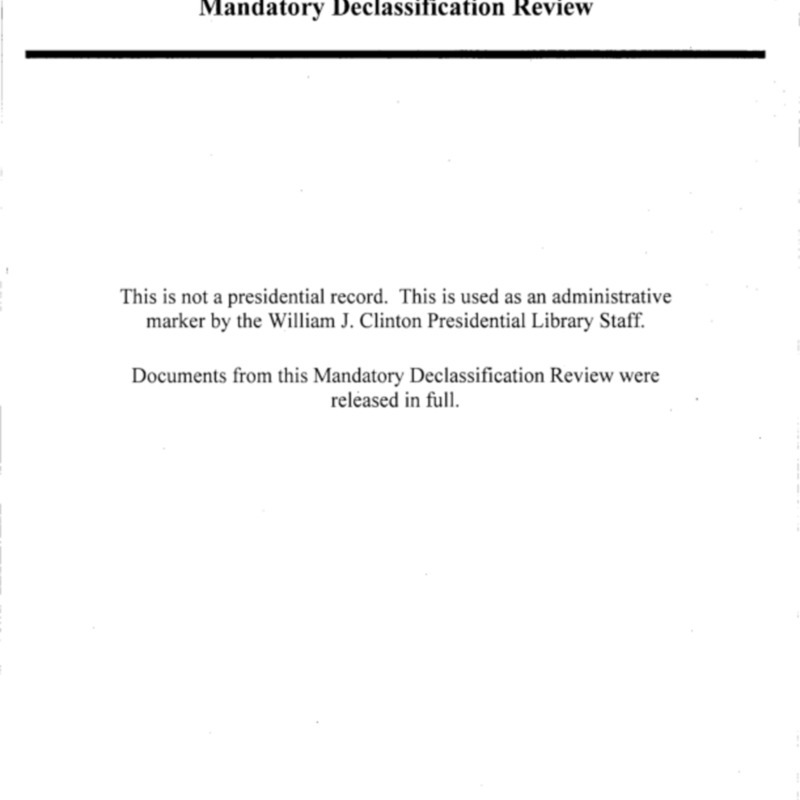 This Mandatory Declassification Review contains material on France from the White House Office of Records Management. 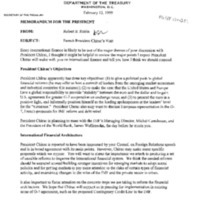 Materials include correspondence between President Clinton and French President Jacques Chirac, as well as briefing materials and talking points for meetings with President Chirac and other French officials.